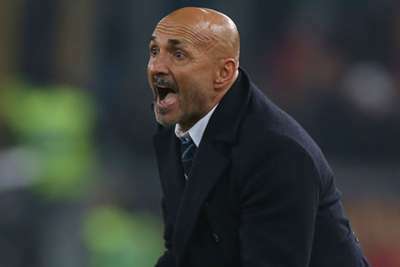 Luciano Spalletti concedes bridging the gap to Serie A champions Juventus will be difficult but the Inter head coach sees Friday's Derby d'Italia as the perfect opportunity to start making inroads. The Nerazzurri travel to the Allianz Stadium trailing the leaders by 11 points after 14 rounds of action, their title hopes seemingly in tatters well before the mid-way point of the season. Following one victory from their opening four games of the campaign, Inter embarked on a seven-match winning streak, although that progress has been checked slightly by a recent 4-1 thrashing at Atalanta and a 2-2 draw with Roma last time out. But speaking to the media on Thursday ahead of the trip to Turin, Spalletti preferred to see the clash as an ideal chance to make up three points on the seven-time defending champions. "They'll lose if they only think about stopping us. We play to beat every team, but I believe it more now," said Spalletti, who also confirmed Dalbert and Radja Nainggolan remain unavailable for selection due to injury. 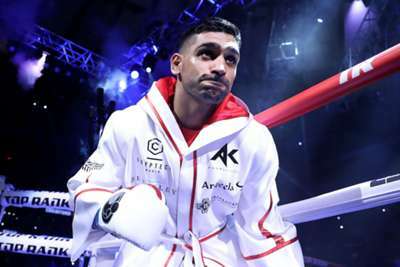 "The team are growing now and are becoming more and more complete in terms of attitude. We've had some good games recently. "There's a big gap at the top and the bad news is that catching them will be difficult, but the good news is this is the first step towards that and it's in our hands. "We still lack some focus during games, but we're a great team in terms of names and how we read games. "We must think the teams we face aren't so strong and can't move us off track. On my part, there's no surrender to Juventus. "Things come to an end when you stop trying and are no longer convinced by your qualities, not when you lose a game." Spalletti also pointed to Juve's ability to repeatedly poach the best players from their direct rivals as a way to strengthen their position, as well as referring to the blockbuster €112million transfer that saw Cristiano Ronaldo arrive from Real Madrid in July. "Juventus buy players who make a difference every year. Three years ago when I was at Roma, Juve swooped in for [Miralem] Pjanic, who was perhaps our best player, together with [Daniele] De Rossi," he added. "Last year we had one of the best full-backs in the League in [Joao] Cancelo and they signed him, plus they took [Gonzalo] Higuain from Napoli. "They're players who help you grow in an attacking sense. This year they've signed a champion in Cristiano Ronaldo, and you can't put the mentality he offers them into words."